We train skilled workers in the fields of mechatronics, plastic and metal technology (module tool making and mold construction technology) and process technology. As required, there is also the opportunity for you to participate in special support courses. In addition, further supplementary trainings such as personality trainings as well as instruction courses on camera systems or robots add to your professional training and education. 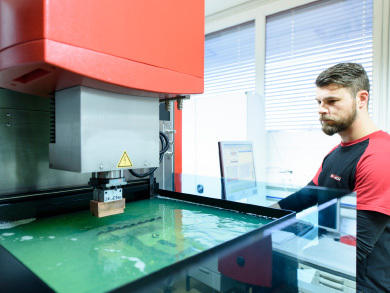 As a metal technician (training module: tool making and mold construction technology) at Promotech you manufacture special production tools from metal that are required in plastic production lines. These tools and appliances that you build according to technical plans and specifications make it possible, for instance, to punch components in a proper and precise manner, to produce components correctly using plastic injection molding technique or simply to hold the workpiece in the proper processing position. In order to create such tools – which, by the way, you also continuously maintain and repair, if required – you have to process metals by means of drilling, milling, turning, grinding, welding, riveting, soldering, etc. Subsequently, you assemble the components. Important instruments for your work are fully or semi-automated machines (e.g. milling or eroding machines). 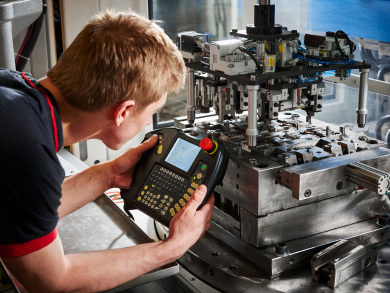 For the employment of computer-operated CNC machine tools you develop yourself the manufacturing program individually required for the specific purpose. As a process technician at Promotech you are trained in the processing of metals and plastics. 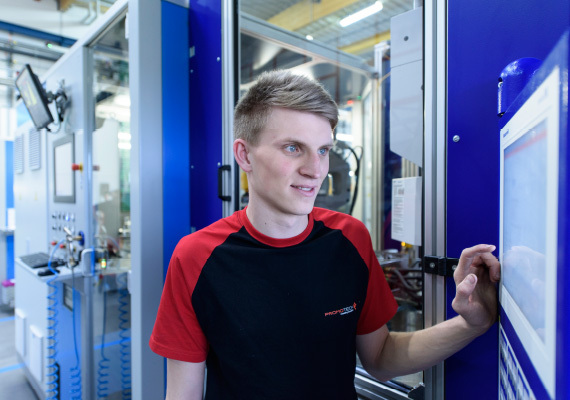 On the basis of practical examples performed and demonstrated in our production lines, you acquire knowledge and skills regarding electrical, pneumatic and hydraulic systems. Your scope of tasks covers the operation, the monitoring and the maintenance of complex, interlinked production lines. You operate these production lines and monitor whether the work flows are performed in a smooth and correct manner. The functional parts manufactured in our company are important components in the automobile industry and therefore our process technicians must ensure strict compliance with the highest quality standards and must perform corresponding quality assurance measures. It goes without saying that top quality can only be produced if maintenance and service work is performed in regular intervals. You are expected to carry out these tasks independently and on your own, employing state-of-the-art robot and camera surveillance systems for this purpose. As a plastics technician at Promotech you create plastic parts or so-called “hybrid components” made of plastics and metal. 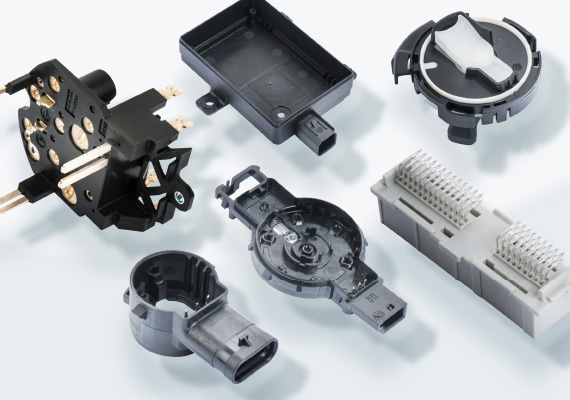 Your final products represent parts of equipment or machinery that are particularly important for safety reasons and, for instance, needed in airbag or parking sensors of cars, in connector strips or in industrial applications. The material you work with are plastic matrices (granulates) which you have previously prepared with the help of different additives. 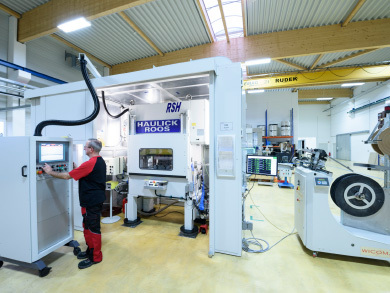 You work both manually (sawing, drilling, cutting, bonding, soldering, hardening) and with large-size computer-controlled manufacturing machines which are operated and monitored by you yourself; you are also responsible for the removing and refitting of the individual tools from and into the machine, depending on the respective production requirements. For the purpose of quality control regarding the products manufactured by you, you apply different measuring and testing devices and you set up and maintain documentations and parts lists. 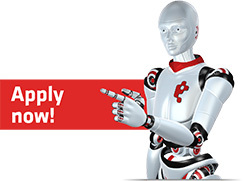 As a mechatronics technician at Promotech your focus of professional interest will be on everything that lies within the intersection of mechanics and electronics in the production department of our enterprise. Promotech has achieved a leading position within its industry sector in the field of interlinked mechanized systems and disposes of numerous fully automated production lines. Your work comprises the creation and processing of mechatronic components, you assemble mechatronic modules and components and synchronize them. In addition, you set up electronic and pneumatic/hydraulic controls as well as controls based on information technology, you inspect and maintain them and also carry out repair work, if required. You put complex mechatronic systems into operation, set up their functions, program the systems and operate them. As a skilled worker, having completed your apprenticeship program, a variety of different tasks awaits you – for a start, in the trade you have been trained in. After several years of practice in your original discipline you also have the chance to change to other departments, such as quality assurance, project management, production or sales and you also have the opportunity to attend advanced vocational training courses. Also a top career in our enterprise is within reach for you – quite many of the top executives currently holding key positions in the company have started their careers as apprentices at Promotech. Everybody who drives a car benefits from our work, because nowadays virtually any vehicle is furnished with safety-related, sensor-equipped components. Promotech specializes in so-called “multi-functional housing components in automobiles”, and produces its parts for the top brands of the international automotive industry! This is the reason why we are looking for people with brains, people who are inspired, reliable and committed! People like you! For every apprenticeship year passed with “good success”, our apprentices are rewarded with an additional payment of half a monthly apprenticeship remuneration; for each year passed with “excellent success” they receive one full monthly apprenticeship remuneration. If the final apprenticeship exam is passed with “good success”, a further half of a monthly apprenticeship remuneration is paid out, while the final exam passed with “excellent success” is rewarded with a full monthly apprenticeship remuneration. For every apprenticeship year passed with “good success”, our apprentices obtain shopping vouchers equivalent to 50 euros, for each year passed with “excellent success” they obtain vouchers equivalent to 100 euros. If the final apprenticeship exam is passed with “excellent success”, our apprentices may choose a motorbike from a selection of 250 cc motorcycles, while a 125 cc motorcycle is offered for a final exam passed with “good success”.